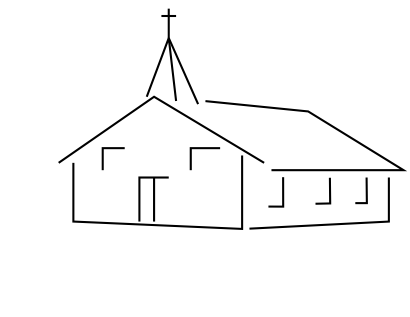 How do I know a true church? Or does it really matter which church I go to? These are important questions because a church is not just a club that one belongs to. Christ established the church for the purpose of salvation and sanctification of all who believe so that at the end of time he might present them to himself in splendor, without spot or wrinkle (Eph. 5:27). So, how do I know a true church? Well, before tackling this question, it is important to clarify on the onset that we will never have a perfect church in this world. It is only in glory that we will have it as Ephesians 5:27 tells us; nevertheless, we can still find a true church. The true church is characterized by three main things or marks namely the faithful preaching of the Bible, proper administration of the sacraments, and proper exercise of church discipline as taught in the Scriptures. First, a true church is where the Bible is preached faithfully (Acts 20:27). Now, almost all churches and even cults claim to preach the Bible. However, if you go to a church where the preacher uses a text of the Bible as a springboard to teach his own thoughts or ideas that is not faithful preaching. Faithful preaching recognizes that the Bible is holy and inerrant word of God hence the preacher strives to present its truths as they have been revealed to us without adding or subtracting from them. Faithful preaching also is not afraid of offending people with the truth. It doesn’t seek to please men at the expense of God’s word. It proclaims that all men are sinners in need of a savior, Jesus Christ, who after saving them by grace through faith also calls them to walk in holiness by his grace. Faithful preaching regards growing in grace, faith and knowledge of Christ and not material or physical prosperity as the main goal of our salvation in this world (2 Peter 3:18). So, a true church always believes that preaching is the major element of worship that should not be compromised or underrated at all. Secondly, a true church is where there is faithful administration of sacraments. The Bible clearly teaches that there are two sacraments, which were established by Christ himself namely baptism and the Lord’s Supper or Holy Communion (Matthew 28:19; Luke 22:19). A true church makes sure that these ceremonies are always observed according to the directions given to us in the Scriptures for they are one of the means that God uses to grant grace to his people. They are “channels of grace” as some have said. A true church, therefore, does not allow people who are living in open sin and rebellion against God to receive these sacraments, yet at the same time it encourages all who have made profession of faith and are striving to walk in the manner worthy of their gospel calling to come and participate in these ordinances, particularly, the Holy Communion after humbly examining themselves (1 Cor. 11:28). A couple of years ago, somebody shared with me a story of a pastor who announced to his congregation that the following Sunday they will have the Lord’s Supper and every one from the community was welcome. Well, this might sound as being gracious but it is complete rebellion against the standards laid out in the Scriptures regarding the Lord’s Table. It is a deliberate provocation of God’s judgment. It is also an act of “blasphemy” as Calvin rightly puts it, “For it is very true that he to whom its (Lord’s Supper) distribution has been committed, if he knowingly and willingly admits an unworthy person whom he could rightfully turn away, is as guilty of sacrilege as if he had cast the Lord’s body to the dogs.” (Institutes of the Christian Religion 4.12.5). Thirdly, a true church is where church discipline is practiced according to the teaching of Scriptures (Matt. 1815-22). This, sadly, is a mark that is fast diminishing in a number churches. There are some churches that chicken out or deliberately ignore to discipline members who have going astray in sin and refuse to repent. If a church cares so much to keep their members irrespective of whether they are living their lives according to God’s will, then, you be afraid and do not be part of it. But what do we mean by church discipline. Let me explain it with an illustration of a family. When children in a family misbehave, parents discipline them according to the offence committed. If the offence is minor, the chastisement or reprimand is also minimal. But if the offence is a major one, the punishment or rebuke is also severe. The same applies to the church. The church being a larger family, its members might commit various sins, which require a rebuke and correction from the church. Some sins are minor so a pastor and sometimes with some elders will correct the person in private. Others sins are major and public hence the Church should openly rebuke the sin in its strongest terms and even excommunicate the member if he is unrepentant after being spoken to. In a case where the church has been forced to excommunicate a member, three goals are intended to be achieved. First, it is to reclaim the person back to the Head of the Church, Jesus Christ. Through this act the church trusts that the Holy Spirit will work in the heart of the member to bring him back to the Lord in repentance (1 Cor. 5:5). Secondly, it helps to maintain the purity of the church. By expelling the unrepentant sinner, the church intends to guard against the corruption of the entire body since an undisciplined member might act as an encouragement to others to live in sin. Lastly, excommunication aims at protecting the testimony of the church in the world. Those who refuse to repent and deliberately continue in sin should not claim to be part of the body of Christ since their lives and actions reject Christ’s teaching (1 Cor. 5:9-13). Now, although a true church practices proper administration of discipline, it should also be borne in mind that no single church enjoys disciplining its members just as parents do not enjoy the actual act of disciplining their children. But this being an essential mark of a true church, churches should not chicken out from it for “All who desire to remove discipline or to hinder its restoration – whether they do this deliberately or out of ignorance – are surely contributing to the ultimate dissolution of the church” (John Calvin, Institutes 4.13.1) . So, my friend, a true church is where you will find all these three marks. Not just one or two of them, but all of them. If you find or are in a church that ignores any of these marks, you should be afraid! In fact, I would encourage you to leave it if you are already a member. If you are not yet a member then do not go near again for it is not a true church. A true church is not just a building but people called by Christ to live in holiness by his grace. A very good article and well supported in scripture. One question do you think worship is also an important part of the true church? Thanks brother I would agree. Coming from the old school and watching the decline of the church I see preaching and sacraments can be carried out but no worship from the heart involved. It is a ritual.